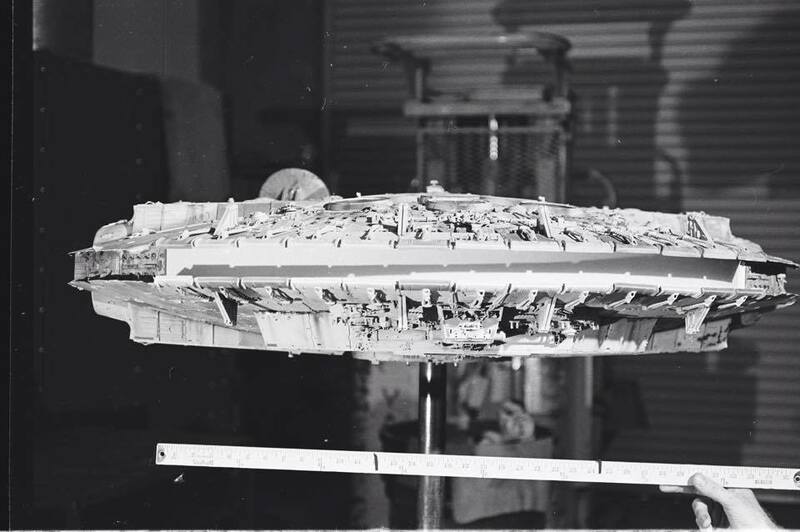 STAR WARS AFICIONADO WEBSITE: 'STAR WARS' AT 40: THE FLYING HAMBURGER! 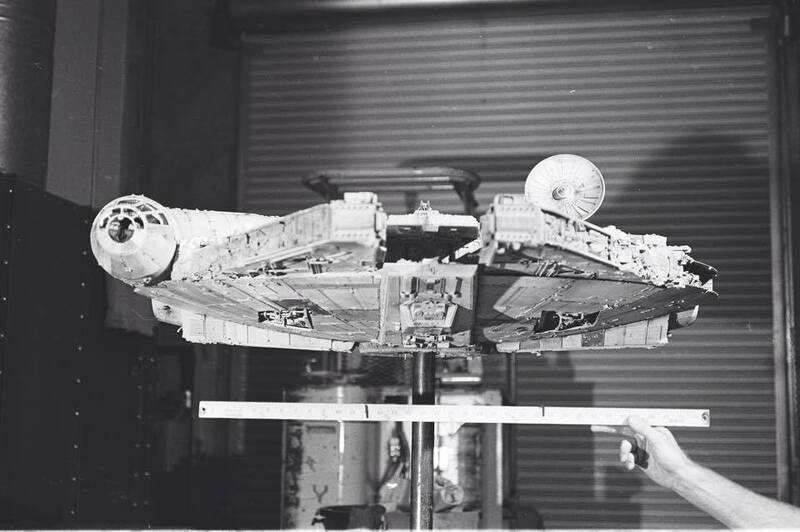 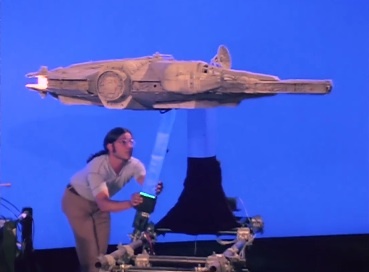 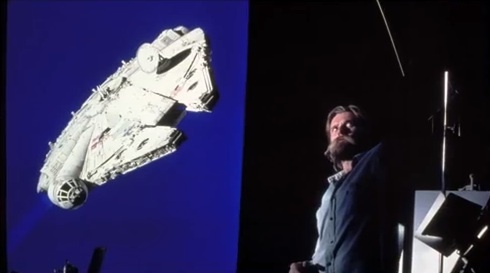 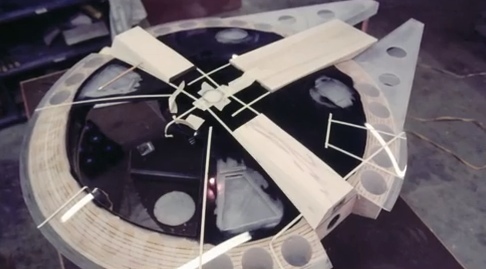 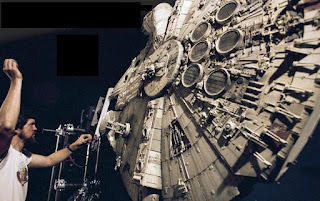 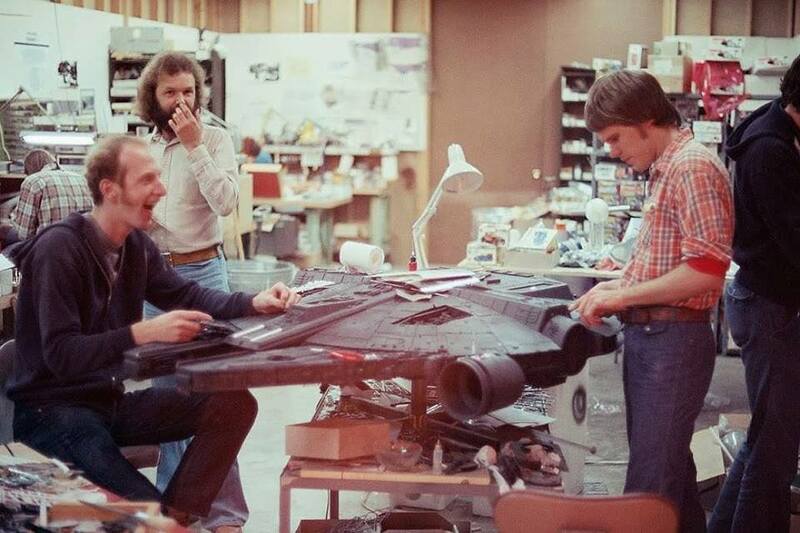 John Dykstra with the Millennium Falcon on the ILM stage in 1976. 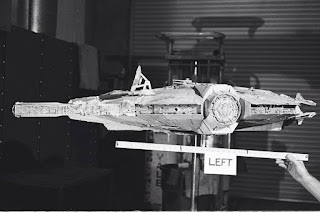 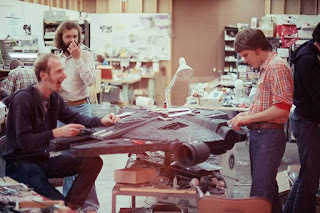 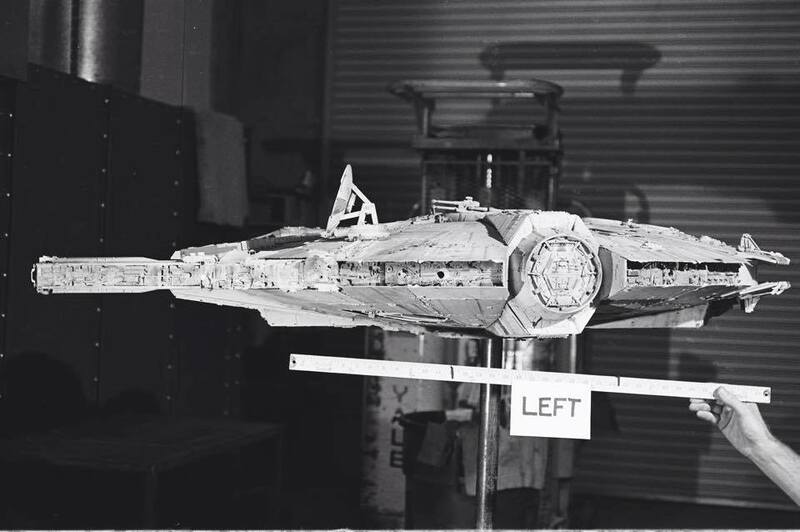 A selection of classic shots showing the revised, now infamous, version of the Millennium Falcon created quickly by ILM artist Joe Johnston in late 1975, and its construction process and filming at Van Nuys. 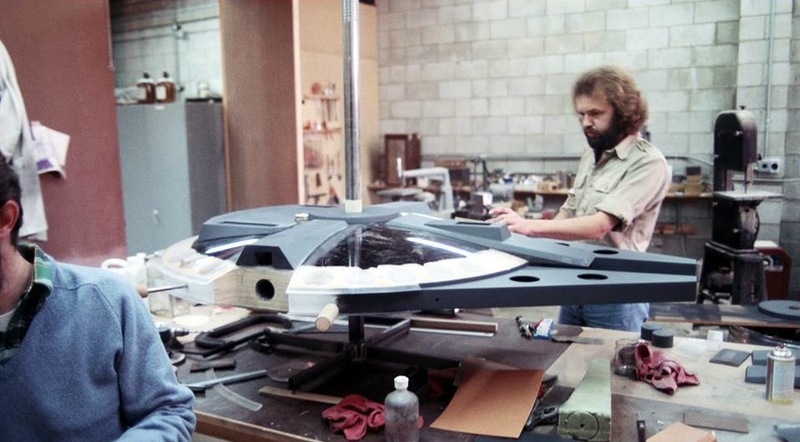 The Millennium Falcon shell begins to take shape. Lucas approves the new visual identity for the Falcon, once just known as "Pirate Ship". 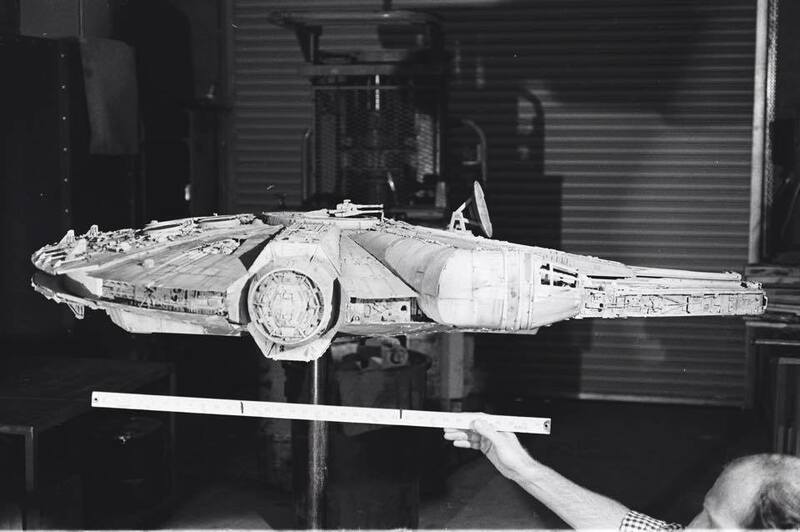 George Lucas leaves to let Lorne Peterson continue his work on the developing model. Steve Gawley, Lorne Peterson and Joe Johnston with the developing model. 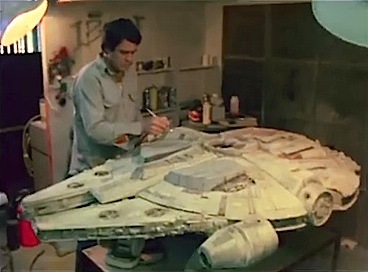 Extra details were continually being added to the model as well as the half-shell being built at London. 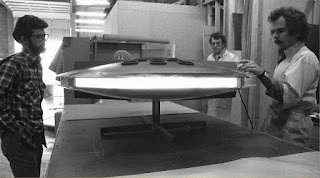 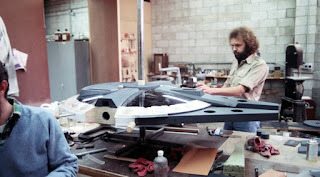 Richard Edlund oversees the model. As seen against blue-screen for The Making of STAR WARS TV special in 1977.